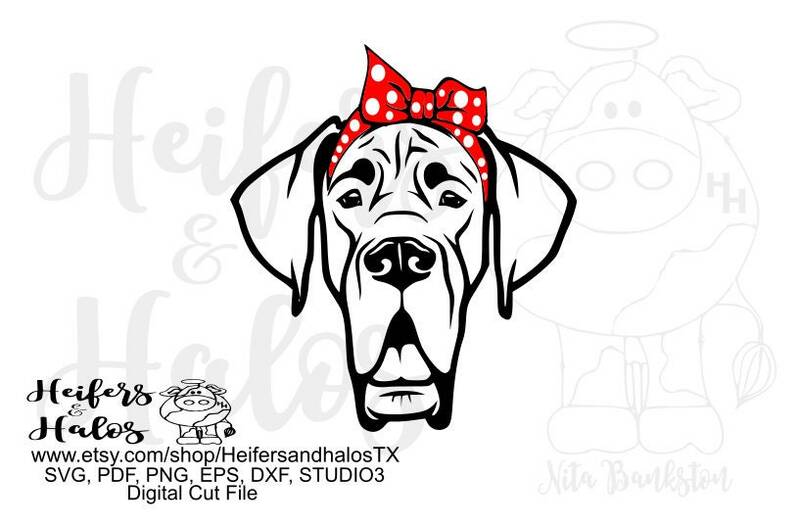 Bandana Great Dane digital cut file. SVG, png, eps, dxf, studio3, studio2 files. My girls love having their LUX puppy on their shirt. Super easy file! I almost purchased a cheaper file elsewhere for a Christmas gift I’m putting together and I am SO glad I found this last minute. It is 100% making all the difference to my gift. It is a much much better representation than the silhouette I was going to go with. This is the only detailed Great Dane representation with the natural ear flop I could find as well! Thank you for providing this file in really clean parts, it makes it incredibly easy to use.